Phase one of the Memorial Clock Tower project is nearly complete, with the majority of the work now done to the tower itself. Phase two of the project will involve work to the plinth and the steps that hold the tower. 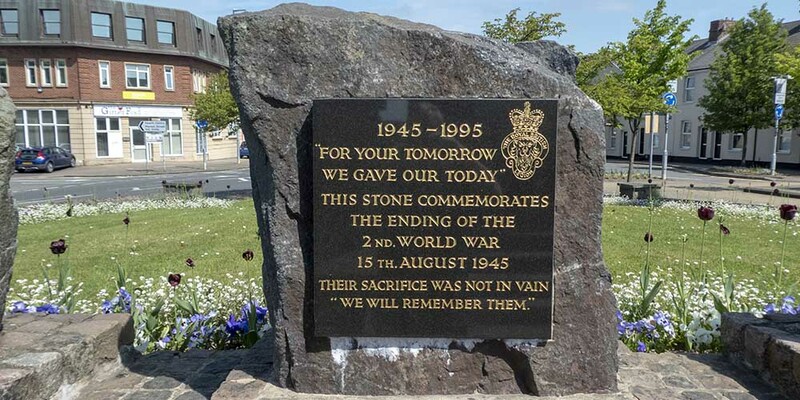 This work will take place after Remembrance events. 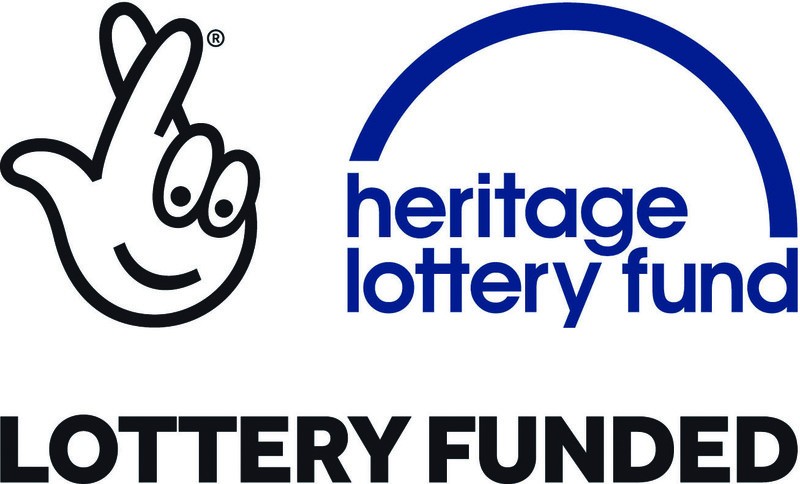 However, the project extends beyond the physical repairs, with the Heritage Lottery funding supporting a range of activities that have involved local communities. 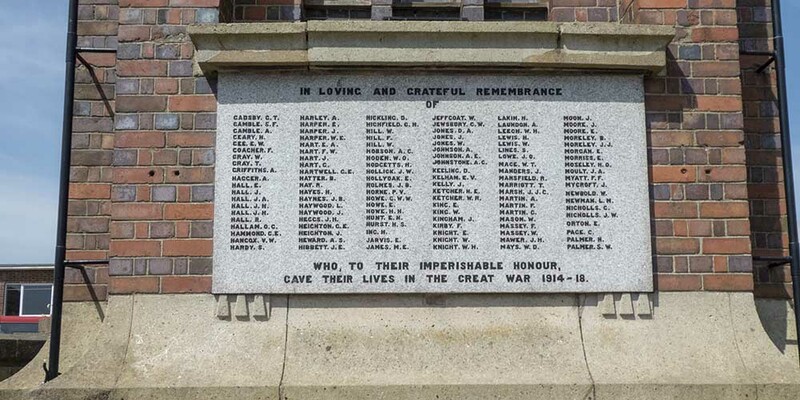 Soon, a touring exhibition These Names Are Lamps of Sacrifice will visit local venues in and around Coalville, taking the story of the Coalville Memorial Clock Tower and other memorials in the local area out into our communities. Local primary school children and college students have worked with the project at various stages allowing them to be hands-on and learn more about the areas past, those local people who have given their lives in world conflicts and those who have given their support during these times in other ways. 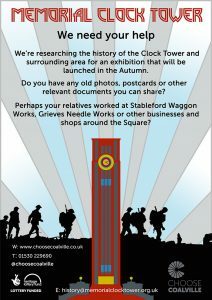 We’re looking for information about Memorial Square to inform our education pack and exhibition. 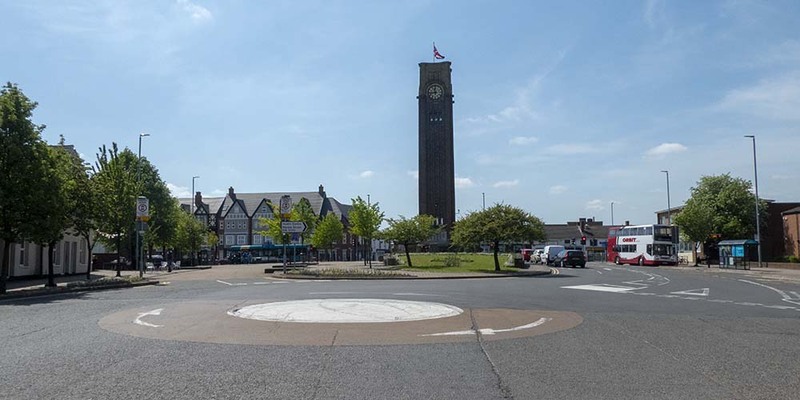 Please tell us what you know about the Clock Tower and surrounding area. 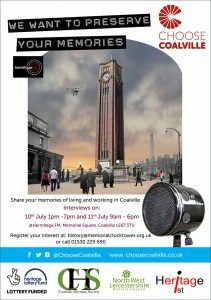 We’re investigating the buildings, businesses and people that lived and worked around Coalville’s Memorial Square over the last century. Do you have any old photos, postcards or other relevant documents you can share? Did any of your relatives work at Stableford waggon works, ‘Grieves’ Needle Works or other local companies or retailers around the Square; or perhaps your relatives lived in Deputies Row, on Ashby Road? Your memories of Memorial Square and the Clock Tower have helped with our research whilst also helping to enhance the historic record of Leicestershire. Listen to the memories recorded during special sessions in July 2018. 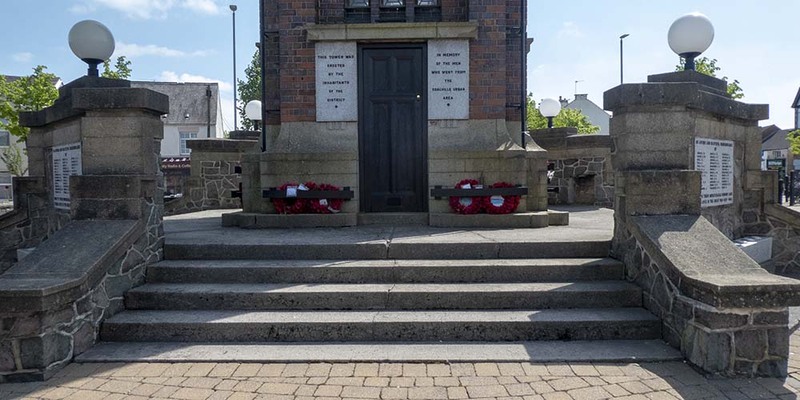 Children from Belvoirdale Primary School visited the Clock Tower and Memorial Square on Wednesday 6 June to learn about how it has changed over the years, with the help and expert guidance of Coalville Heritage Society. As part of their project, the school children also helped to gather reminiscences from local people about Memorial Square and the Clock Tower.